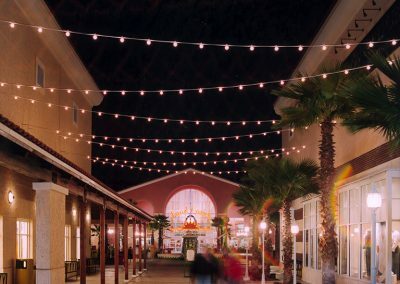 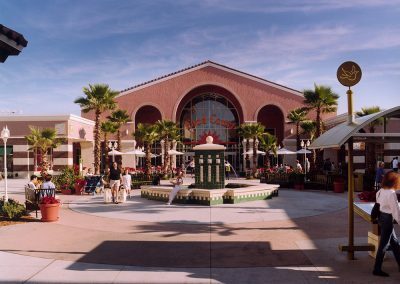 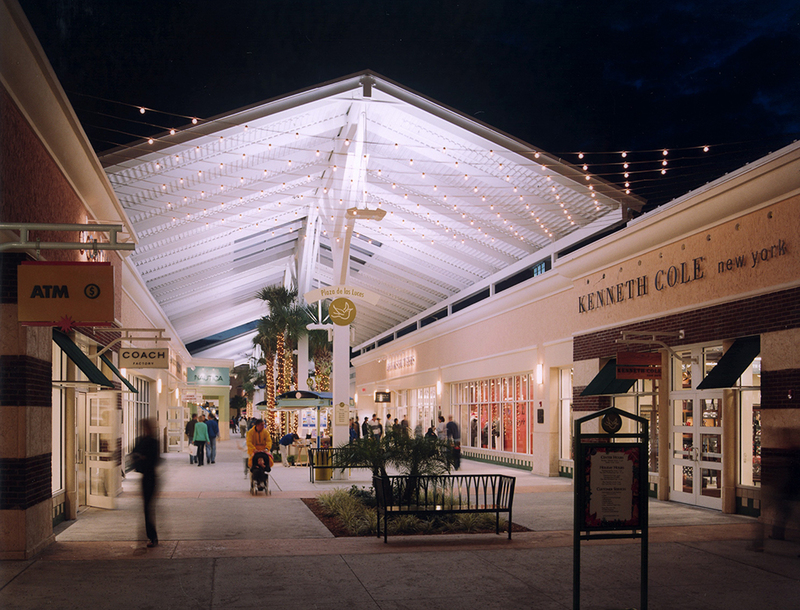 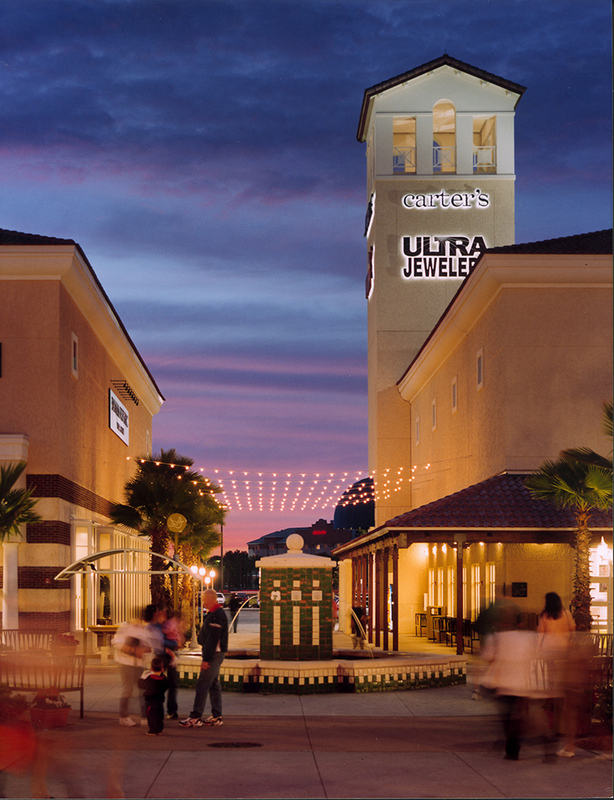 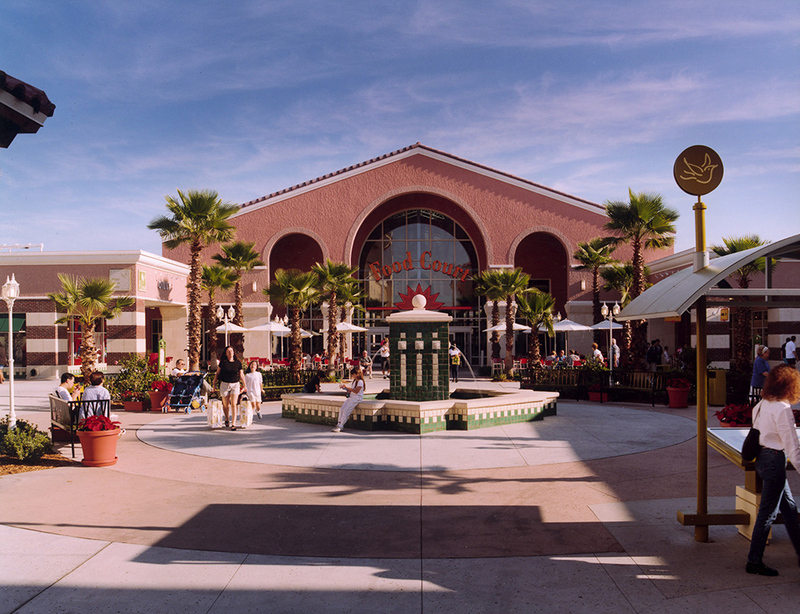 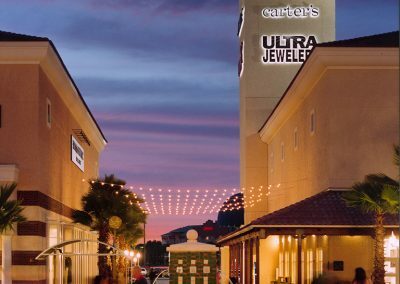 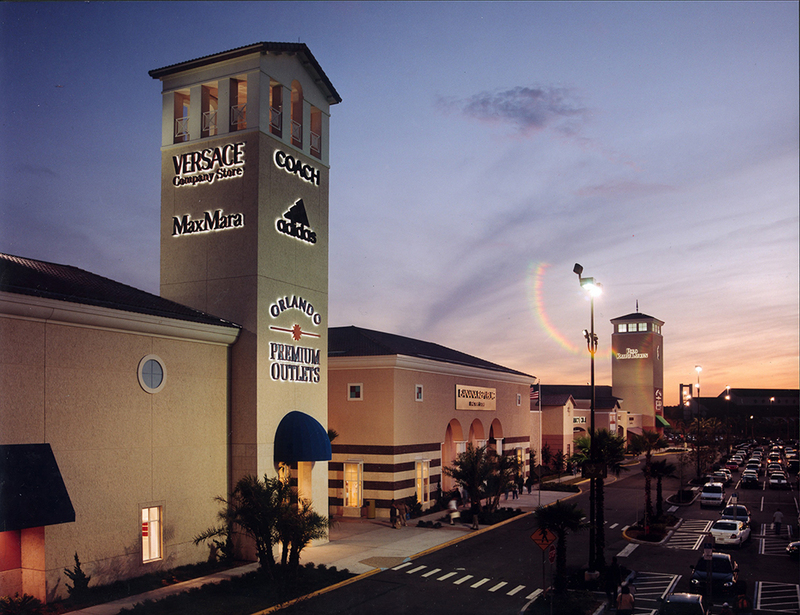 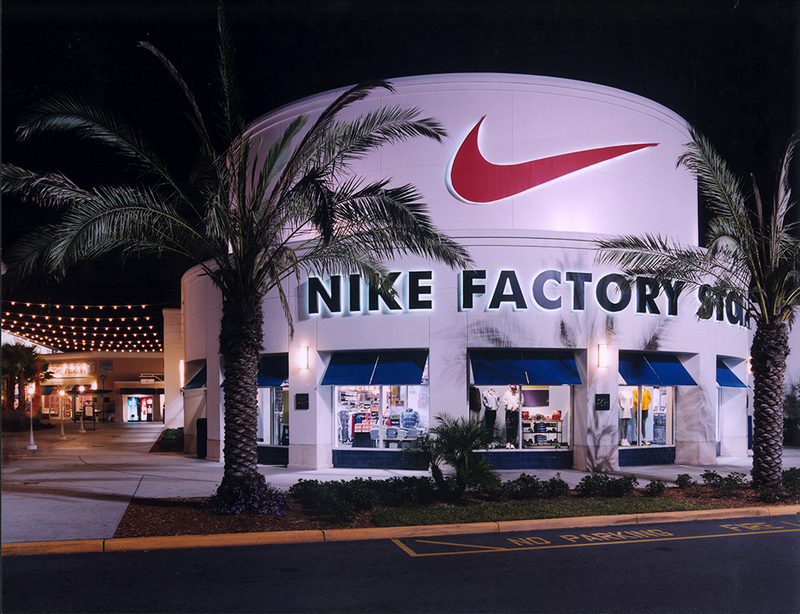 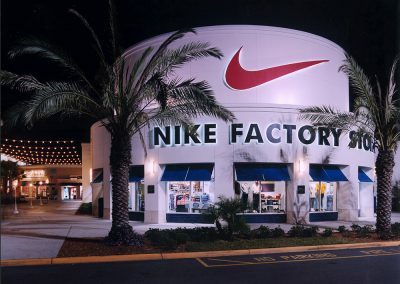 Providing a calming influence on its greater environment which includes the areas surrounding Walt Disney World, Orlando Premium Outlets eschews a classically evolved Mediterranean style. 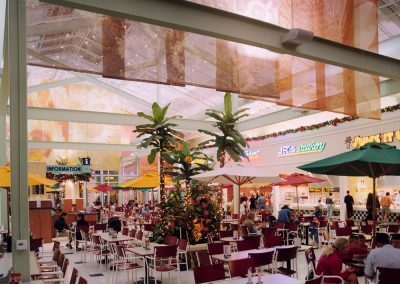 The center is an outdoor, race-track retail center accommodating over 200 stores and a central food court. 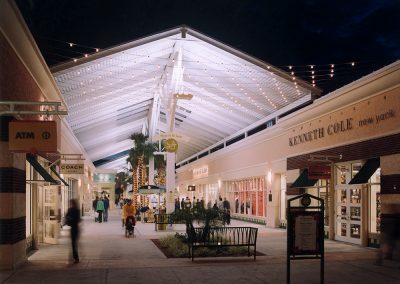 Signage and visibility were the most important design challenges due to the disparate viewing distance and speed-of-travel per the adjacent I-4 and secondary roads. 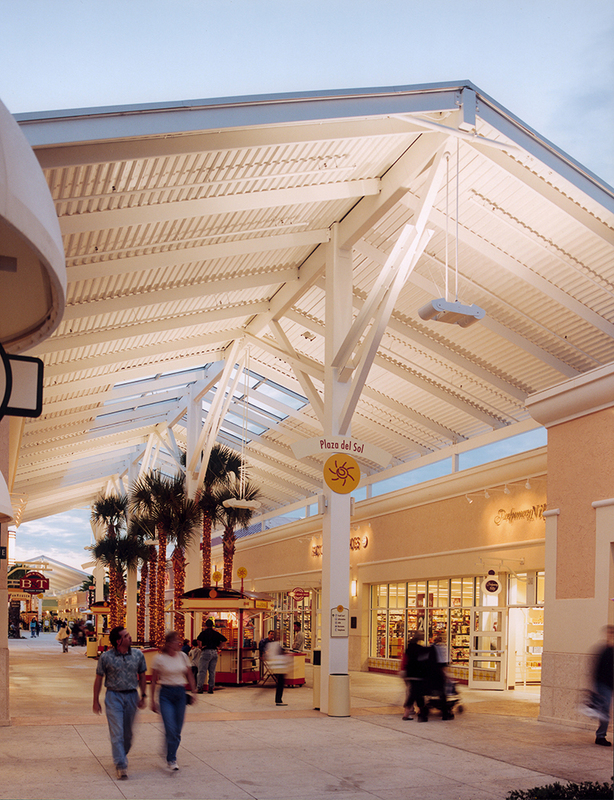 Tall, 100-foot towers, massive hipped-roof structures, and large screen walls at service areas responded to this issue. 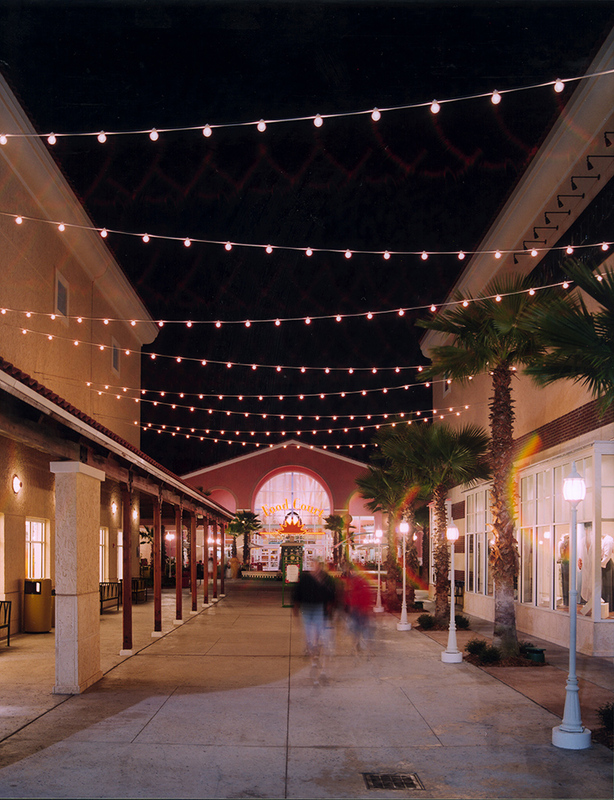 The many facades and streetscapes add an intermediate and comfortable pedestrian scale to counteract the massive parking area. 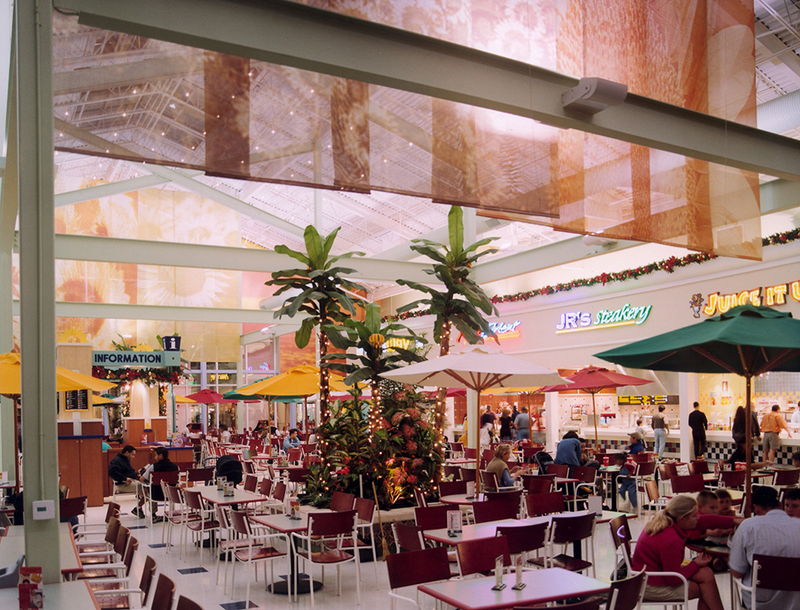 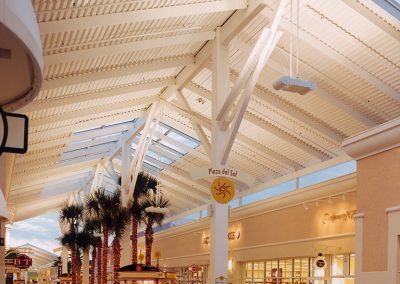 The hot and humid climate and bright central Florida sun were successfully mitigated by free-standing, naturally-venting, shade-producing Paseo roofs.